Borrowers who apply for a mortgage now get a five-page form designed to make home loans easier to understand before they finalize the deal. The Closing Disclosure, as it's called, lays out all of the critical terms of your loan and replaces the old, more confusing HUD-1 Settlement Statement. And while consumers usually didn't get a chance to review the HUD-1 until they arrived at the loan closing, the new document must be presented at least three days prior to signing on the dotted line. That should give borrowers plenty of time to compare the final terms they're accepting — including such key elements as the interest rate and closing costs — to what they were promised when they applied for the mortgage. By matching information on the Closing Disclosure to that on the Loan Estimate they received at the start of the process, consumers can quickly tell if anything has changed. The borrower can demand an explanation, negotiate a better deal or cancel the loan before walking into a pressure-packed settlement meeting. Question 1. How much am I borrowing? On the first page of the form, look under the Loan Terms tab for the box labeled "Loan Amount." The amount in that box (see red arrow below) is how much you're borrowing. If the number is more than the purchase price of your home (or the outstanding balance on a current mortgage you're refinancing), the lender has probably rolled some of your closing costs into the amount you're borrowing. Those costs show up at the top of Page 3 under the Calculating Cash to Close tab on the line that says "Closing Costs Financed (Paid from your Loan Amount)." It's OK if you don't have enough cash to pay for all of your fees. But you need to know exactly what fees and charges the lender is adding to your loan balance. You can also see what you'll end up paying if you make all of the payments — for example, 30 years of payments on a 30-year loan. That figure shows up on Page 5 in the Loan Calculations tab listed as "Total of Payments." Don't be surprised if it's nearly twice the amount you're borrowing. Question 2. What's my interest rate? 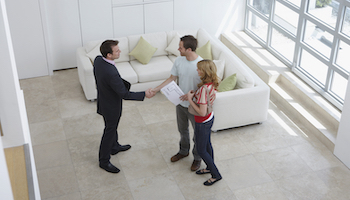 If you paid to lock in the rate when you applied, and that lock hasn't expired, the rate your lender promised should be the rate you see listed as your interest rate on your Closing Disclosure. If not, speak up now and demand the rate you were offered. If you didn't buy a rate lock (or you couldn't close before it expired) and interest rates have risen while your application was being processed, you could end up paying more than you were originally offered. Question 3. 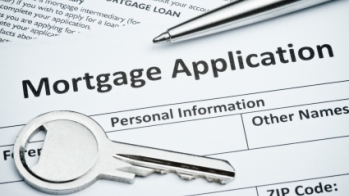 Is this a fixed-rate or adjustable-rate mortgage? You should see "No" three times in the Loan Term tab on Page 1 under the question "Can this amount increase after closing?" Plus, the Projected Payments tab should show the same amount for Principal & Interest in Years 1-7 and Years 8-30. You should see "Yes" three times in the Loan Term tab under the question "Can this amount increase after closing?" Plus, the Projected Payments tab should show different amounts for Principal & Interest in Years 1-7 and Years 8-30. This is something that should not have changed between your Loan Estimate and Closing Disclosure. Question 4. What's my monthly payment? The Projected Payments tab on Page 1 breaks down the three major parts of a loan payment and shows how they will change over time. Principal & Interest: This is what you're paying to reduce the amount you borrowed and cover the interest charges. You may see this cost increase in later years if you have an adjustable-rate loan. Estimated Escrow: Some lenders collect the money needed for recurring expenses (such things as property taxes, homeowners insurance and association fees) in advance and pay those bills on your behalf. To see which bills your lender escrows for, look at the Other Costs tab on Page 2 of the form. Even though the "Estimated Escrow" line might not increase over time, you should fully expect this part of your monthly payment to rise as those premiums, taxes and fees go up. At closing, you'll probably need to reimburse the sellers for your portion of this year's bills that they already paid. For example, let's say they paid an annual community association fee of $1,200 in January. If you will own the house starting in July, you'd pay the sellers half of that $1,200 ($600) because you'll own the house for half the year. Look for those amounts in the "Seller-Paid" column listed under "Before Closing." Question 5. What's this mortgage going to cost me? 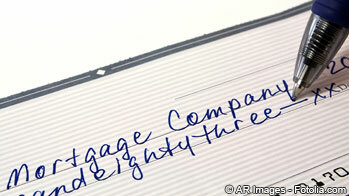 When you applied for your mortgage, your lender listed on your Loan Estimate all of the fees you had to pay. Those charges showed up on Page 2 under the Loan Costs tab. Now you can pull out your Loan Estimate and compare what's on that form to the amounts on Page 2 of your Closing Disclosure form. There are fees that can't increase, fees that can rise 10% and fees that can be any amount. The items listed under "B. Services Borrower Did Not Shop For" that your lender made you buy from another company. Transfer Tax listed in the Other Costs tab under "E. Taxes and Other Government Fees." Fees you paid to the lender. Fees for services you had to buy and that you purchased from a company that's affiliated with your lender and was on your lender's list of approved providers. Fees for services you chose to purchase from a company on your lender's list of approved providers, as long as that company isn't affiliated with your lender. 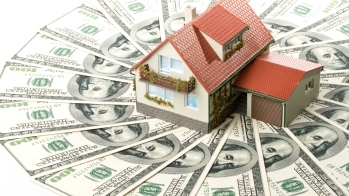 Prepaid interest, homeowners insurance premiums or initial escrow account deposits. Cost of services the lender made you buy that you shopped for yourself and purchased from a company that's not on your lender's list of approved providers. Cost of services you chose to buy that the lender didn't make you buy (like an owner's title insurance policy). Seeing fees that went up when they weren't supposed to? Ask for an explanation. Most lenders use software to make sure they comply with the rules on fee increases, but it's possible someone made a mistake. Question 6. Am I being charged points? Discount points are interest you prepay at closing in exchange for a lower interest rate. That's why paying points is sometimes called "buying down the rate." 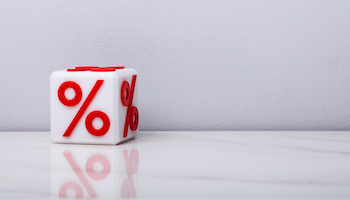 One discount point (1% of the loan amount) typically decreases the interest rate by 0.1625 to 0.25 of a percentage point on a 30-year mortgage. If you didn't agree to pay points, but points show up on the form, talk to your lender. Question 7. How much money do I need to bring to the loan closing? The money you need to bring to your settlement shows up on Page 3 in the Calculating Cash to Close tab. The Closing Disclosure should explain any costs that have changed since you got your Loan Estimate. Ask about any changes you don't understand.